Pig Grinder is a rather fun little casual game made by Pixal Inc. As is their MO, you’ll be thrust into a vibrant and brilliantly drawn world, if a little grisly. You take control of a flying pig in an attempt to steer clear of saw blades on the floor, the ceiling and moving ones either side of you. The aim of the game is to survive for as long as possible by bouncing off the walls as many times as you can, but it gets progressively more challenging and more fun. Pretty fun for a casual game, and will provide a decent amount of play time as you try to get your chosen pig to survive that fraction of a second longer. It’s bright and brilliant visuals are a staple of the Pixal Inc way and is definitely enjoyable, if a little too challenging at times. Huge thanks to vgalmanac for reviewing Pig Grinder! If you'd like to read the full review then please visit the website by following this link! 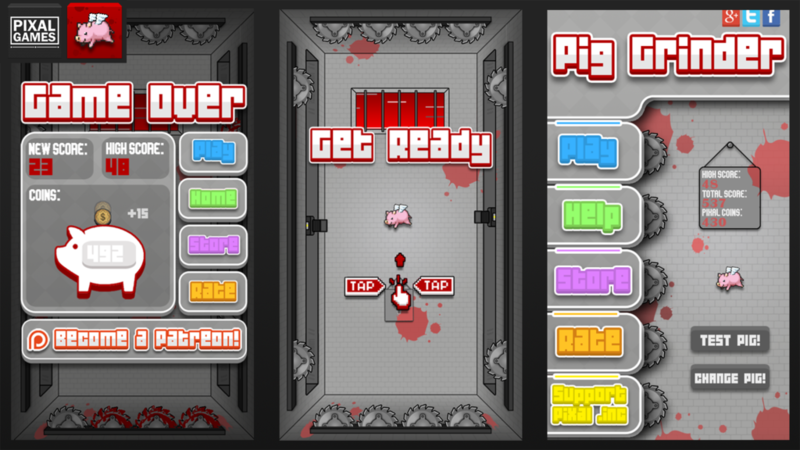 Pixal Games Relaunch - Pig Grinder! Finally got around to finishing this much needed update! Version 3.2 is up! 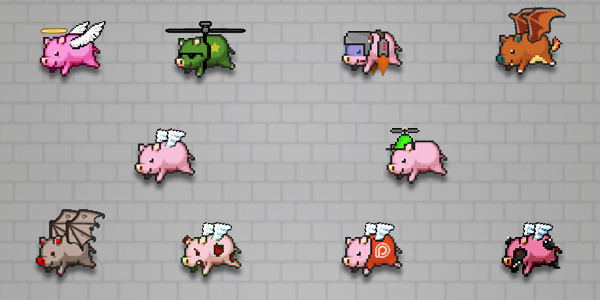 Includes new Pigs, optimization and more! All of the levels have been remade as well as the main menu and a multitude of assets! It was in need of an urgent update to fix the high-score saving system!